For fast-paced professionals (or people pretending they know how to adult) like us, life can get a little tough. With so much to remember, healthy lifestyles to maintain, and finances crippling us, it’s about time that somebody rounded up eight of the best apps that help make life just that little bit easier, isn’t it? Well, that’s exactly what we’ve done. 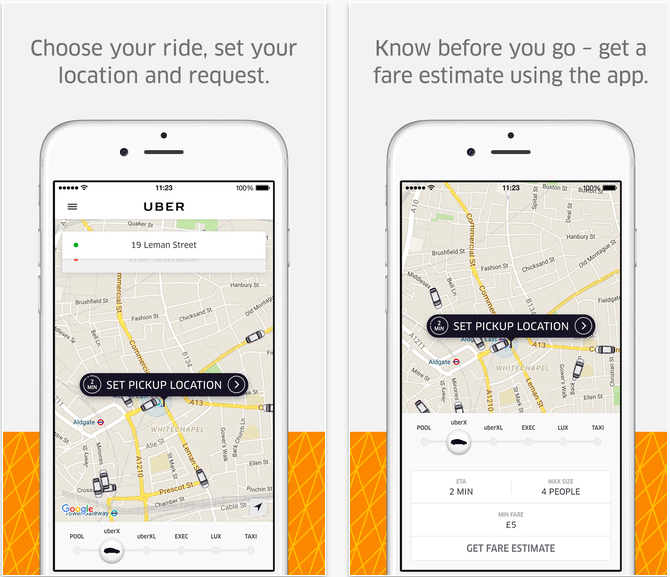 Check out the seven apps that keep the team at United By Pop surviving… just. There’s no denying that us busy body millennials become very easily stressed and with technology constantly on the brain, it’s hard to sleep at night. 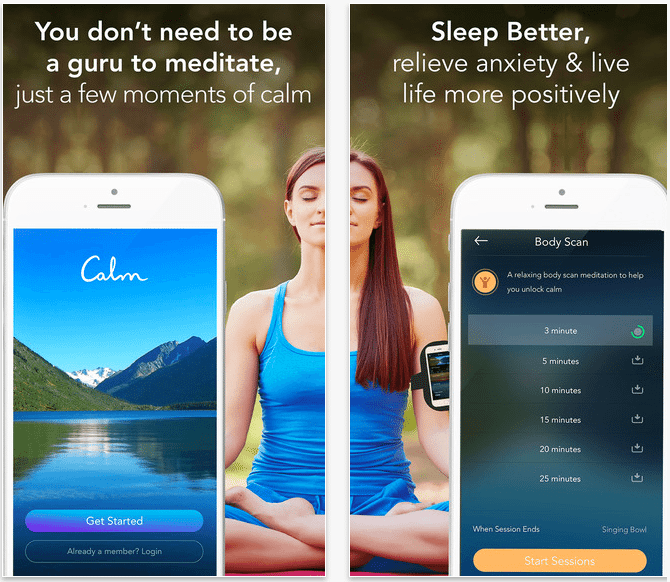 Calm is an app that helps battle both problems in one. With seven guided meditation sessions running from 2-20 minutes with a range of relaxing background scenes and sounds to choose from, Calm definitely beats its competitors. Looking after your body is becoming increasingly popular and this health and fitness app is helping us all do just that. 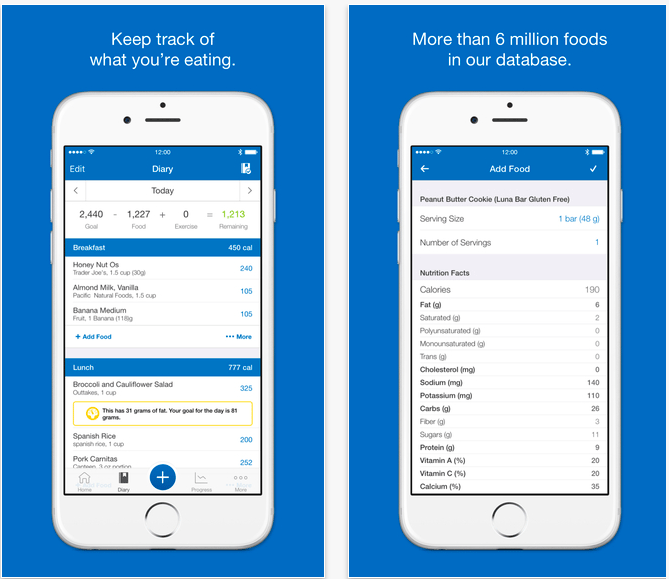 My Fitness Pal allows you to enter your goal weight and calculate a daily calorie intake. Scan the barcode or any food you eat and watch your daily calorie limit go down. Then, through the power of exercise, watch it go back up again. The app somehow magically makes you want to eat better and exercise more – neither of which are bad things. 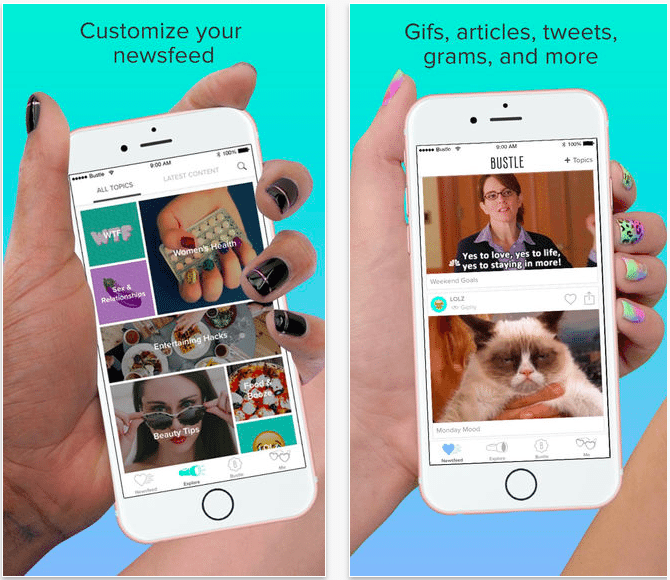 Bustle is the ultimate news and entertainment app for girls and gays on the go (until United By Pop launches one, obviously). The app contains a personalised newsfeed full of your favorite topics, live coverage of your favorite TV shows and big events, round-the-clock updates by a team of curators, news alerts on breaking and trending stories, and even drinking games! Dropbox is the ultimate back up app. You can store your documents, photos, videos, virtually any file you can think of, and you can access them from any of your devices. 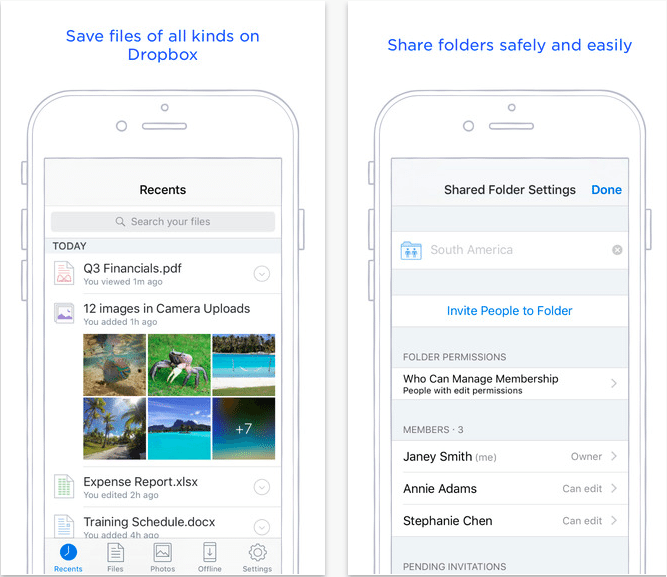 Plus you can send even the largest of files to anybody – they don’t even have to be a Dropbox user. Citymapper is the best app for getting about town. The easy A to B journey planner helps you get where you need to be through cheap public transport. With real time departures, transport maps and line statuses, this really is the only app you need to get about. 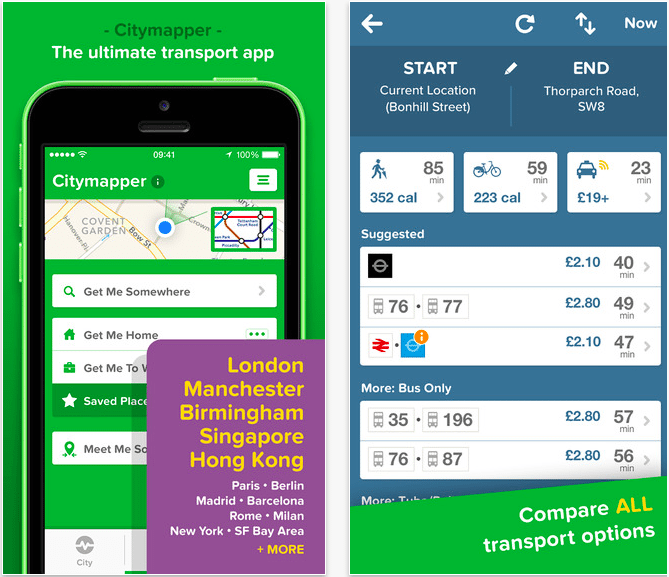 In the UK, Citymapper currently only covers London, Manchester and Birmingham, and in the US/Canada, it covers New York City, San Francisco Bay Area, Los Angeles, Washington DC, Chicago, Boston, Philadelphia, Toronto, Vancouver, and Montreal. However, you can vote for your city to be added next on the Citymapper website. 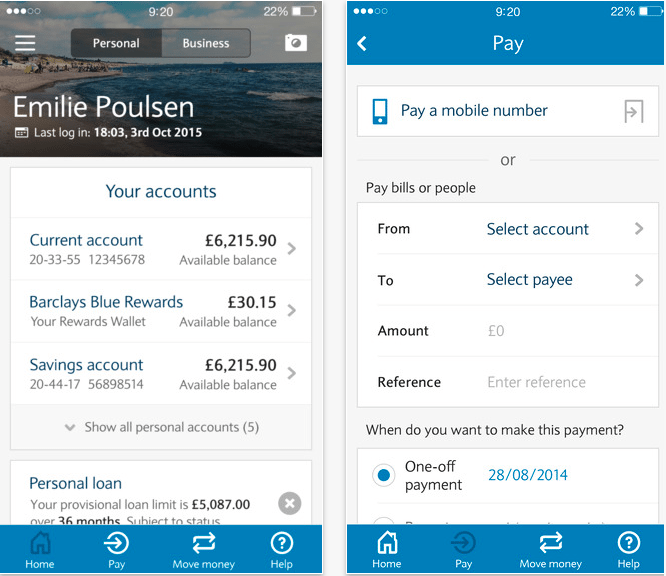 Mobile banking is ideal for quickly checking your balance, transferring money between your own accounts, and sending money to your friends after they paid for last night’s Uber (more from them later) without having to remember tricky passcodes and capitalised phrases with numbers and symbols on the end. This app can become VERY addictive when you begin to use it. If you haven’t heard of Uber, it’s a luxury budget taxi service that you link to your debit card so that a taxi can be outside your house at the click of a button. It’s essential for nights out and for guilty trips to McDonald’s. Anything we’ve missed? Let us know on United By Pop’s Facebook and Twitter pages. Are transatlantic girlband G.R.L. getting ready to reform?